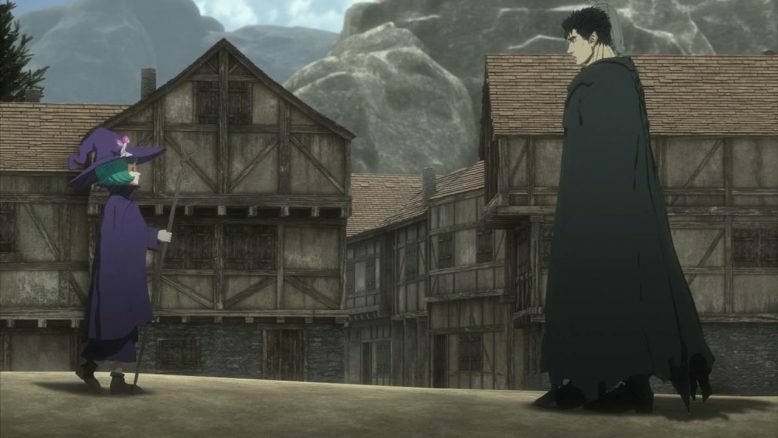 What continues to stand out about Berserk, in its second season since its return, is how markedly different the tone and feel of the show has really become. The world of Berserk feels remarkably different, more ethereal and less hellish than its been in a while. These changes and shifts happened in the manga, but I think its the art direction and color on full display here, that really emphasizes how much Berserk has changed as a story. Is it for the better? That I’m not entirely sure about just yet. The one big difference I think in how I’m experiencing Berserk these days is that each episode really gives you time to ruminate on it (There’s a week gap in between each, after all). The calm, quiet conversation that Ishidoro has with the old man this week, is perhaps the biggest example of how much this story has changed. Berserk always had side characters and quiet moments, but they generally prefaced some kind of horrible outcome. Thinking back on episode one of this series that came last year, Gutts runs into a grandfather and his granddaughter in the dead of night, and the eventual outcome of their kindness isn’t all too great for them. The story of Berserk then was a lot more visceral and harsh, and I feel like seeing Gutts and a bunch of his “comrades” facing off against some trolls in order to protect a small village, seems so alien that it just feels off. 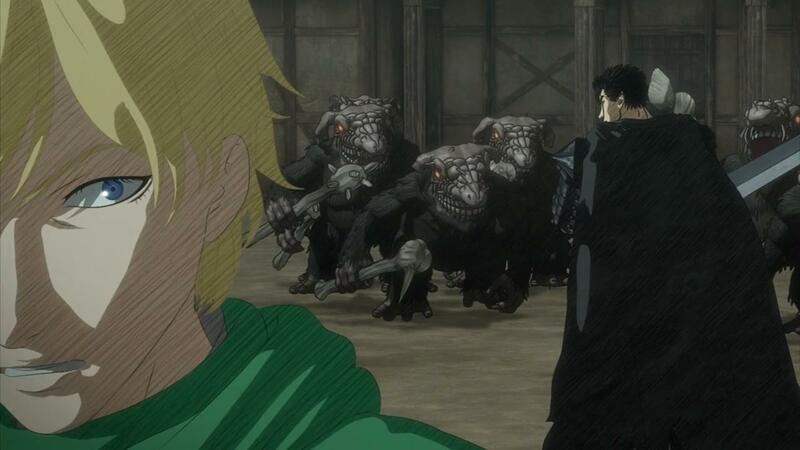 Going back to that conversation, its something that the characters of Berserk would never have been able to afford. I didn’t particularly care about the story of the old man, and really what it was meant to illustrate is this ongoing narrative of how humans basically forgot the otherworldly beings that they shared the world with. Its an interesting story, and I think its adds some flavor and depth to the world of Berserk, but I think its at this point that the show and the story is losing some of its identity, as it morphs into whatever it wants to be next. This transition period was a lot smoother for me when I originally burned through the manga, and I assume that people who will bulk watch these episodes will feel the same way. But make no mistake, this IS a transitional period, if only because literally every character in the primary cast has their own little monologue and reflection scene in this very episode. 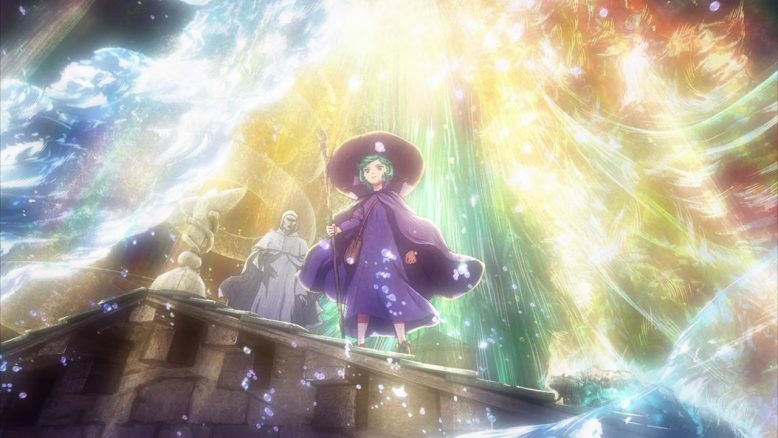 Whether its Schierke and her musings about Gutts and the state of the “physical” world, or whether its Serpico and Farnese changing quite rapidly from their ongoing journey, everyone save for Gutts is dramatically changing. And Gutts, for his part, is changing too. He’s basically become a leader of a band of people that are basically trying to find their place and way in this weird world. Its interesting to see Gutts really confident and comfortable in a time where literally everyone else around him is not. Its almost a nice change of pace, seeing Gutts not anguishing and angry, and that perhaps, is another huge indicator of how different this story has become. Of course, while the core of the story has changed, some themes are still very prevalent. The anti-religious sentiments in Berserk are still strong, but what is adding more depth to the whole equation is another religion entirely, that of the whole magic and spirit worship. Its interesting that Berserk is basically rejecting organized religion at this point, rather than religion or inherently deep belief itself. Its another aspect that continues to play a major role in the events of the show, and one that I reckon will probably fade a bit as we move forward. The actual battle with the Trolls didn’t start until fairly late in the episode, and so this episode was another setup episode of sorts. It wasn’t an info dump entirely, but more or less established the kind of village that Gutts and the rest will be fighting to protect. 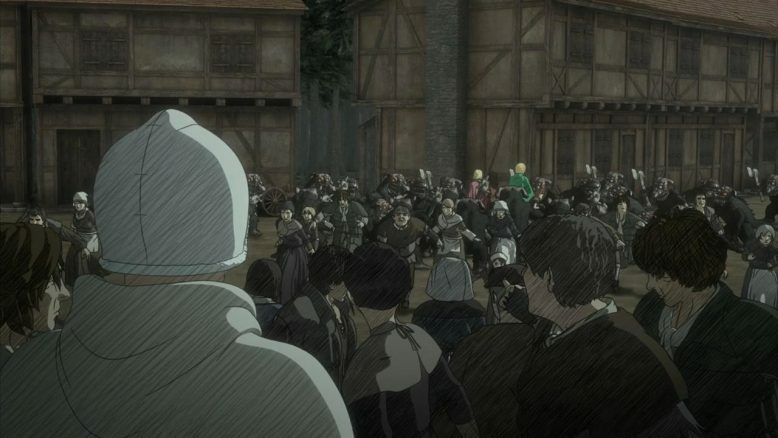 A part of me is hoping for some kind of twist or dark secret in the village, one that will make this fight against the trolls a little bit more interesting. If not, its at least got some good action, with Serpico and Gutts really kind of showing their power and strength. In terms of the action I have to say, that the CG that this show employs is really kind of working its favor. The streams of light and effects that we see are definitely dazzling, and make for a pretty good looking show. The animation definitely doesn’t keep up, but that’s kind of always been the case with this show. The art direction is strong, but the motion and fluidity of it all, is still pretty underwhelming to say the least. Next week will probably be the resolution for this arc, and we’ll about at the mid way point of the series by then. 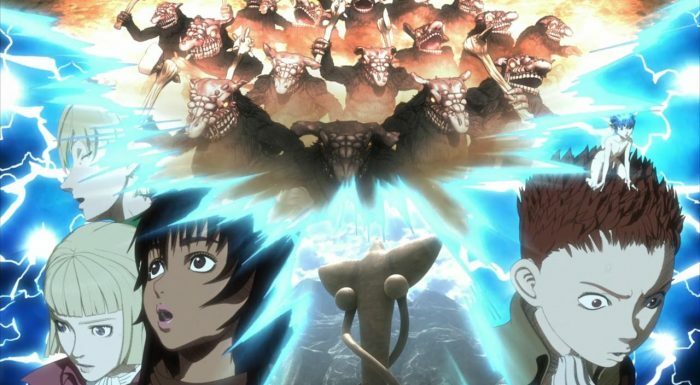 It remains to be seen if Berserk, the show, can bring back some of the wonder and maybe even shock factor that allowed the first season of this show to stand out.